Getting started with Racing Demon is easy. 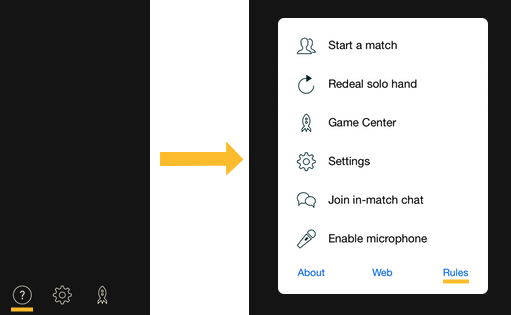 First get the app from the App Store, then follow these steps to start your first match. Sign in to Game Center (if you are not already signed in). Select the type of match and the number of players. Select "Invite" to invite friends to play, or "Play" to let Game Center find you opponents. Start playing. If the prompt goes red it means that an opponent is ready and waiting for you. Join the chat to talk to your opponents. Touch the mic to talk. At the end of the match decide whether you want to play again.